Come and learn about events planned for the year! Program Chairs will be available to discuss the events they are managing. This is a great opportunity to meet the event/program chairpersons, explore opportunities for your students and learn ways that you can participate and make LWMTA a stronger and more vital organization for teachers and students. 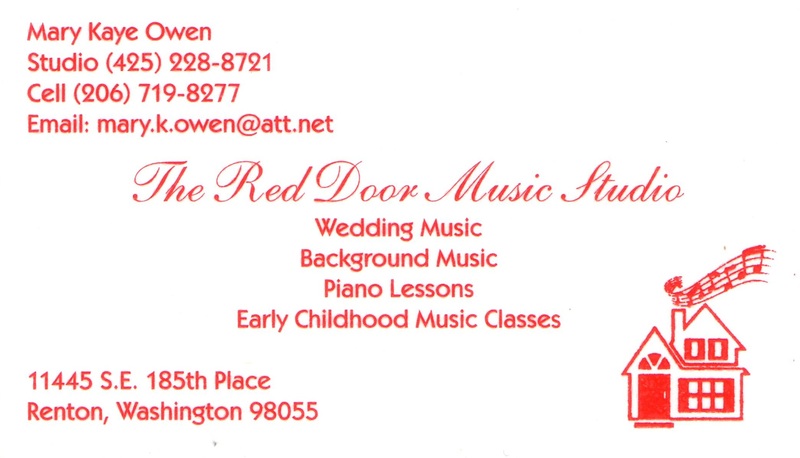 Tuesday, October 16 at 10:30 am: General Meeting at Northwest Pianos: How Do We Market our Business? This will be an open forum to share ideas. There are many ways we grow our studios. Let us explore together ways, sources, places (electronic or concrete) which enable us to spread the word of the good we do. Please bring questions and experiences to share. We have all heard some people say that they have no sense of rhythm. Is this really true? Let us explore this idea along with the teaching of rhythm from the very beginnings of musical explorations. How do you approach rhythm with the very young? How do you work with the adult either returning or beginning who claims to have no sense of rhythm? All questions and ideas are welcome in this open forum. Do you have that one student who you just can’t seem to grasp how to reach, teach, or connect with? 1 in 68 children were diagnosed with Autism in 2018. Chances are, you are teaching a child on the Autism Spectrum. Come and explore ways to connect with your “Out of the Box” student, or learn the tools to feel confident teaching an Autism Spectrum Student. Do your students know how to play one or more piano pieces by memory, or with music in front of them? Do they enjoy playing duets or being part of music ensembles? Do your students know how to play scales, arpeggios, chords and/or cadences? Do your students use their ear training? Are they composing and performing their own written music? By performing in one, several, or all of these areas (and more), your piano students can proudly show their skills to a qualified Guild Judge once a year. The judge will give a written evaluation and report card to the student, who will also be awarded a pin. There is no oral review, and the teacher is not judged. You can be a part of this organization. You will certainly see growth in your students’ musical knowledge and abilities.